Michael's Plumbing Supply, offers modern and traditional kitchen faucets by name brand fixture manufacturers such as Kohler, Moen, Pfister, American Standard, Delta to name a few. 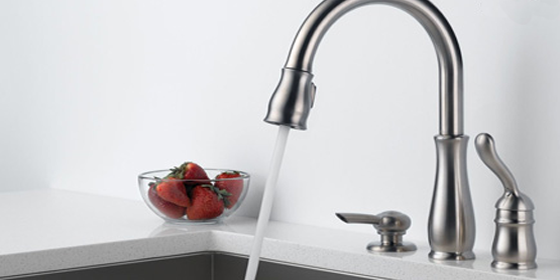 Today, Kitchen Faucets are a required fixture in every home and business. Fixtures evolve in style and function as appliance trends change the appearance of your kitchen, functions and accessories will change your cooking requirements We offer outstanding plumbing services and competitive prices on all the products we sell. Michael's Plumbing Supply is a reseller of well-known Kitchen & Bath Fixtures, Accessories and Pipe Fitting brands. We carry most top name brands and can provide you with just about any product including Sinks, Tubs, Toilets and much, much more! Let us earn your business by providing you with a quote for products that we may not have listed on the website.